1. The company’s terms are: 20% deposit with order, balance payable in full on delivery or installation. The deposit is non-refundable except where specifically agreed with Home Front Limited (‘the company’). The company reserves the right to charge interest on monies owed at a rate of 4% above base rate. 2. 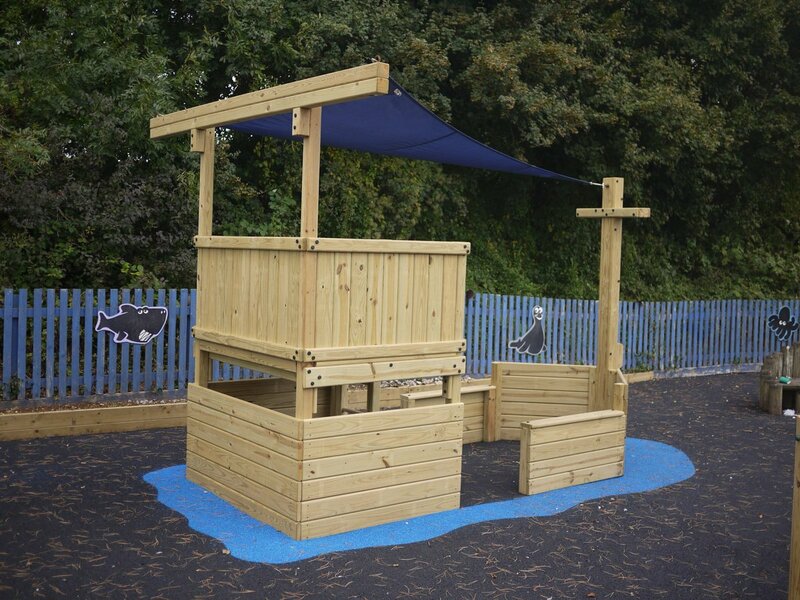 The play equipment and all attached equipment (‘the goods’) shall remain the property of the company until full and final payment has been received. In the event of non-payment within terms, the company reserves the right to remove the goods. In this case, installation and dismantling will be chargeable to the customer. 3. The company recommends the use of the installation service and regrets that no claims arising from defective construction can be entertained if this service is not used. The company reserves the right to levy additional charges for installation due to any access or ground condition difficulties not notified to us in advance. 4. All equipment is produced and installed to comply with EN1176 standards. Any modification to equipment or siting requested by the customer which is not in compliance with these standards is done with the express understanding that it is entirely at the customer’s own risk. These standards also require safer surfacing to EN1177 and “free space” around all play equipment. 5. The company provides a 12 month guarantee against all workmanship defects to the original purchaser and 15 year guarantee to the original purchaser against timber failure caused by rot and/or insect attack on all timber components. Surface rust on metal components and surface checking and splits in timber pieces are not considered defects. The company’s guarantee shall be limited solely to the equipment costs; carriage and labour costs are specifically excluded. 6. The company reserves the right to photograph each installation and reserves the right to use such images for publicity purposes. 7. The company provides a Safety and Maintenance Sheet with a suggested programme of inspections and repairs. This is a guide only and should not be taken as definitive or exhaustive. It is strongly recommended that the user put in place a rigorous and well documented programme taking into account their own site and circumstances. 8. The company reserves the right to change specifications and prices without notice. 9. Any quotation issued is valid for a period of 60 days from date of issue unless specifically stated otherwise. Installation prices are based on the assumption that access for vehicles, labour and materials is easy and that no special tools are required for excavation. If ground conditions require extra labour time/equipment use and if these conditions have not been made known to us in advance of the quotation, the company reserves the right to charge in full for these extra costs. Quotations also assume that excavated soil can be disposed of on site within a few metres of the job site. Any requirement to remove soil off site or to move it to another, remote part of the site will be chargeable in full. 10. Deliveries are made to kerb side only. Any shortages must be notified to the company within 24 hours of delivery, and cannot be accepted if the customer has signed for safe delivery. 11. The customer is responsible for planning permission (if required) and for any issues concerning local authorities, neighbours, restrictive covenants etc, and the company cannot be held liable for any costs arising from such disputes. At every step of the way, from the on-site visit to the actual installation, the company have been extremely professional and helpful - answering the many questions we had quickly.